Occasionally, I like to bring other perspectives to the Hospitality Industry. Obtaining viewpoints from other practitioners equips you with information to assist in your purchasing and selling decisions. I am pleased to introduce Adrian Rizzo from Kent MacPherson Appraisals offering a commentary on the appraiser’s view. I would like to thank Adrian for his contribution. Hotel appraisals are required when a property is transacting or refinanced. As there have been very few transactions of hotels in B.C. since late 2008, most recent appraisals have been for re-financing purposes. Like most real estate investments, hotels and motels can be valued by the three common appraisal methods which include the Cost Approach, Direct Comparison Approach and the Income Approach. Hotels and motels are commonly bought and sold on their ability to generate income; therefore are most appropriately valued by the Income Approach. involves estimating the replacement cost of the building and deducting all forms of depreciation. The value of the land is then added to the depreciated value of the building to produce an estimate of value. This approach may provide a reliable estimate of value of new or proposed properties, as hotels are especially susceptible to economic depreciation, thus this approach is often met with skepticism from knowledgeable investors. can be used for small motels where, due to their size, they are often uneconomical operations, but they provide accommodation and employment for the owner and their family. For hotels and larger motels, this approach is often utilized as a secondary method that provides support for the Income Approach valuation. · Discounted cash flow analysis. Both methods convert future income into a present value. 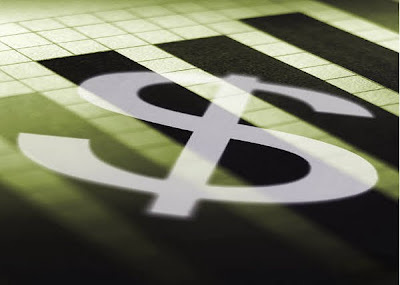 Direct capitalization converts or “capitalizes” a property’s net operating income into an estimate of market value using a capitalization rate. The capitalization rate is a reflection of the investor’s opinion about the risk associated with the investment and the characteristics offered by the property in comparison to other investment opportunities. This method converts future revenue into a present value by discounting each future benefit at an appropriate yield rate. 5 and 10 year investment horizons are the most common. The procedure utilized to convert annual income and reversion into present value is called discounting, while the required yield rate of return is called the discount rate. The discounting procedure presumes that the investor will receive a satisfactory return on the investment and complete recovery of the capital invested. Yield Capitalization is also called the Discounted Cash Flow method (DCF) because a discount rate is used to calculate the present value of anticipated future cash flows. Perhaps more than any other income producing property, the value of hotel real estate relates to its actual performance. While there are many hotels of similar nature, often they do not have the same type of attributes, room mix, room finishes, restaurants, franchise affiliations, labour arrangements, etc. Therefore, in this valuation procedure, actual historical income and expenses from the starting point in the appraisal process. Since the hotel business has a tendency to fluctuate from year to year, hotel values are generally established on the basis of stabilized incomes and expenses. This procedure follows the steps that a prudent purchaser would take in considering the value of a hotel. The appraiser compares the actual performance of a hotel to industry norms and makes adjustments to actual performance where necessary. The market value of a hotel is sensitive to changes in the marketplace. As the revenue generated from a hotel relies upon short term stays, a drop or rise in occupancy produces an immediate and corresponding drop or rise in income. Furthermore, the hotel industry is cyclical in nature and therefore values can be expected to rise and fall over time. The rise of the Canadian dollar and significant events such as 9/11 and the SARS outbreak are examples of events that have affected the hospitality industry. An accurate appraisal is contingent upon the appraiser having access to the financial performance of recently transacted comparable properties. It is critical that the same analysis utilized to derive a capitalization rate from the comparable sales is applied when valuing the subject hotel. The appraisal of a hotel is both interesting and challenging and is usually completed by an appraiser experienced in the analysis of the many variables that exist in a hospitality industry. Knowledge of industry performance and current transactions are essential elements of a well-prepared appraisal report. I have qualified buyers looking to purchase properties in Alberta and British Columbia. If you are thinking of selling your property, now may be the time. Please give me a call to discuss your requirements. On behalf of myself and my family, I would like to take this opportunity to wish everyone a happy, joyous and peaceful holiday season. For 32 plus years Jerry has been in the Real Estate Industry in Alberta and British Columbia which has resulted in an outstanding record of sales. He commenced his real estate career in Alberta, with the past 17 years located in the Okanagan Valley, selling Real Estate in Kelowna British Columbia and Alberta. Jerry’s knowledge base of the total British Columbia market lends his expertise to sales of hotels and motels, small and large businesses, and commercial real estate. Having owned and operated ranches hotels and motels, in the past, gives Jerry Dombowsky a very good understanding of the effort needed to close the deal. Jerry is well versed in all aspects of the real estate market. "We have known Jerry Dombowsky for over 25 years. During that time Jerry has helped us buy two businesses, including our present motel. He also helped in the sale of three businesses. Jerry assisted with all transactions upon the purchase and sale of each business detailing the documentation required to complete each stage. Jerry has always remained in constant contact with us and has made us feel more than just clients. With Jerry’s honesty and friendly disposition, we would not hesitate to recommend Jerry Dombowsky for someone’s real estate needs." "When we were looking to purchase an income property, we contacted Jerry Dombowsky in regard to one of his properties. It wasn't what we really wanted but in discussing our needs, with Jerry, he found us a property that we were happy with. He helped us complete the sale and when it came to sell, he sold the property and helped us purchase another property. We have been satisfied with his service and we have recommended Jerry Dombowsky to our family and friends." Prospective Hotel/Motel Buyer or Seller? Upon researching The BC and Yukon Hotel Association newsletter section, I have reprinted articles that maybe of interest to readers. I am sure many of you are members of this association which works towards the betterment of the complete accommodation industry – big and small. The BC Safety Authority is encouraging operators of hotels built prior to 1980 to check with their elevator maintenance contractor to ensure they are in compliance with Safety Code B44-2007 restricting the use of single bottom cylinder elevators without proper safety mechanisms. The single bottom cylinder design was an industry standard prior to 1977: these cylinders were also installed without a PVC casing, leaving the cylinder unprotected against corrosion or electrolytic action. When a single bottom cylinder fails, welds connecting the bottom plate to the cylinder fail, and the column of oil supporting the elevator is expelled into the surrounding earth. The elevator drops in more or less free-fall; this type of catastrophic failure may result in injury or death, property damage, and/or environmental contamination. go2 – has been working in partnership with WorkSafeBC over the past few months in order to create an occupational health and safety division for the hospitality and tourism industry. A key component of this division includes the development and implementation of the Certificate of Recognition (COR) program. The COR program provides financial incentives to employers who go beyond the legal requirements of the Workers Compensation Act and Occupational Health and Safety Regulation by taking the “best practice” approach to implementing health and safety, and return-to-work programs. The program will allow participating properties to undergo a certification process that will make them eligible for rebates of up to 15% on their WorkSafeBC premiums. go2 has developed an audit tool that will be used to measure employers’ success in implementing their occupational health and safety management system. For more information, or to register for this program, please contact Terry Bertram, COR Coordinator at tbertram@go2hr.ca or by phone at: 604-633-9787 ext. 220. Natural Gas Rates Update For the update on competitive rates offered by the BCHA Natural Gas Consultant, as well as additional information to the above, please go to the following web address: http://www.bcyha.com/ and refer to “newsletters”. Why have a membership to your provincial Motel/Hotel association? The accommodation industry associations, in Alberta and British Columba, have many money cost saving advantages when you are a member of your provincial association. The Alberta Hotel Association has membership advantages in credit card discounts with one of the largest merchant processors in the country. Electrical Energy Procurement helps all members by negotiating a savings on electricity for all members. Energy Efficiency Programs helps the individual property assessment to lower the usage of power. Insurance purchase for its members, in bulk, is a long term savings for all members with the aim to not be under-insured. Natural Gas Procurement allows the association to negotiate saving money for all members for many years to come. All members can better control their costs. Group Health Benefits has been a real positive step to securing and keeping good employees. The costs are less when purchased through a large association. The association provides all members and employees with access to Group Retirement Plans. This is provided by a dedicated professional team of consultants. Insurance Discounts: The association has a provider that will “shop” the best competitive rate for all members – large or small. Acquiring adequate insurance to ensure you are not under-insured, at the time of a claim, is very important for the individual property owner. Telecom Program is in depth and covers a wide range of services for members and their employees. Examples of some of the programs, are: lower rates for lines, faxes and, on your 1-800 # - no signed contracts; discount calling cards for members; 0 + commission on guest calls. Preferential rates on Visa, Mastercard and Interac. Suppliers Discount: The association has developed marketing relationships with a select group of quality and reputable suppliers that will provide good service and product value. As you can see, both provinces have associations working to the benefit of their respective membership in obtaining the most competitive value on a wide range of services. We start a new year with lots of optimism and positive thoughts. I think a lot of areas are going to see positive results from the Olympic spill over, for British Columbia and Alberta. In researching information for this newsletter, I found an article thanks to The BC Hotel Association and on the Service Canada web site, that is very timely for the accommodation industry. Service Canada has developed a program to help employers and employees get through some of the down times. This, in turn, may help keep their jobs and the employer, his good employees. It is called the Work-Sharing Agreement and the details are on their website. I would like to wish all the people in the accommodation industry a happy and prosperous 2010. Signs of economic recovery in the offing:Green Shoots !!! Unless you work in finance or follow markets closely, the date September 15, 2008, will probably mean little to you. That was the day the long bull market came to a halt with the bankruptcy of Lehman Brothers. The unthinkable had happened. Wall Street was at the brink. The ensuing months brought more bad news as markets tumbled and we saw a worldwide economic downturn. Some called it a severe recession while others used the dreaded “D” word. However, most market gurus and several prominent economists now agree that the worst has past and there are signs of recovery in the offing: green shoots they are called. What the heck is a green shoot? I admit that it took me a moment or two on my morning drive while listening to Bloomberg to understand what this phrase meant in an economic context. I am fond of the English language and admire those who take the time to use it properly. It should not be surprising therefore that I am alternately bemused and annoyed by some of the catch phrases and “buzz words” that we so readily adopt. I do not twitter, blog or text but do enjoy well written articles. Ok, I admit that I am a devotee of The Economist. That publication recently reported that in a single week there were 68 references to economic green shoots in the world’s major media. This compares to none at the end of 2008. While constant use of this catch phrase gets more than a little tiresome with each passing day it is actually very good news. 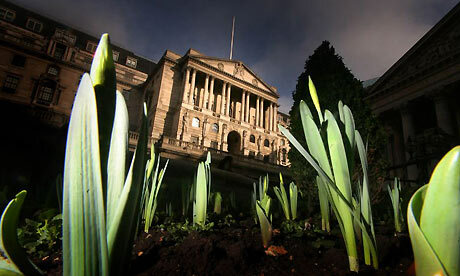 There are “early signs of economic recovery” (aka green shoots) which means that better news will surely follow. Changing the news cycle to positive reporting on the economy from what we have had is surely the first step to changing attitudes and creating confidence. Confidence is what we all need to have, in order to right the economy. 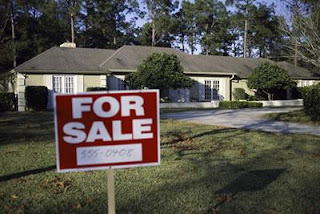  CMHC predicts that the Canadian housing market as a whole will stabilize in 2009 and rebound in 2010.  CMHC forecasts that the Kelowna market will stabilize in 2009 and show modest recovery in 2010.  The average British Columbia residential resale selling price in 2009 is expected to moderate to $452,000 which is down modestly from $454,599 in 2008 but well above the 2006 figure of $390,693.  Major stock market indices have rebounded from lows in March 2009.  Brokers anecdotally report their investor clients are exhibiting increased confidence. Yes, there are still some decidedly negative economic indicators. Additionally there are others that provide a mixed outlook for the immediate future. Full recovery will not take place overnight. We are not where we want to be now but I am confident that we are on the right path. All those green shoots can’t be wrong! President / Taylor Capital Inc. When selling your business, it makes good sense to present your property in the best shape if you want to maximize your investment. When entering the property, the first impression the client sees is a lasting one. If you are in an area where landscaping and greenery are evident, it is important to have the shrubbery trimmed, grass manicured and the flowers looking their very best. Organic fertilizers are the way to go and displaying evidence of this in strategically located areas, will show to your client, that you are thinking GREEN. If you are like most properties, and have a paved parking lot, you should look at having it sealed and new lines painted. The client will notice this immediately and will demonstrate pride of ownership. If you have concrete or interlocking brick, you may want to power wash to give that clean look. Sweep the greenery and dust that has accumulated in the gutters and borders of the parking lot. These aesthetically pleasing upkeeps are not costly... only labour is required. At this stage, the client should be feeling good about the property. When he/she walks into the lobby/office, small or large, this area should be decorated suitably. The employees behind the desk, should be dressed appropriately to greet clients. A professional operation will assist in the sale of the property. The rooms should be clean, clean. The mattresses and bedding be of good quality. The rooms to be as modern as one’s budget will allow. The bathroom taking centre stage with more detail given to cleanliness, no mould around tubs, and all caulking in good repair and applied professionally. This is very important for the prospective buyer. Financial performance is the main criteria for valuing any business. The bottom line cash flow is the main element which determines value unless you are in a re-developing area and land value is the greatest determining factor. Having three previous year’s financials, including monthly sales for that period plus monthly income and expenses, from the last year end date to the present time will satisfy the prospective buyer and for the appraiser if a contract is written. Have a record of improvements completed, to the property, in the last two years, be they, physical improvements or promotional and marketing initiatives put in place. An example could be, website development or anything which may enhance future prospects. Buyers sometimes only see what needs to be done and are oblivious to what has been accomplished. Bring it to their attention through your sales representative. Remember when obtaining a price from a professional, he has not sentimental feelings to the property and will usually give you an honest opinion. If you are not happy with his evaluation, you can always get a bank approved appraisal because this is want the bank is going to lend on, in the end. 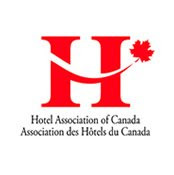 What can the Hotel/Motel Association do to enhance their product for all of the people that will be converging upon our province in February, 2010? It may be too late for the association to do something if they aren’t already in the midst of planning before now. I am sure they have, but if not, there is still time for your local area, local community or individual owners to get the message out promoting your area. The Internet is the most effective tool that you may have. The 1988 Olympics, in Calgary, found that one-third of the visitors stayed in the area for up to an additional two weeks to explore and see what Alberta had to offer. You can be sure the visitor coming to The Olympics in 2010, are quite computer savvy. They will have already started surfing for information on the diverse geography and tourist opportunities British Columbia has available. A lot of people will extend their holidays beyond The Olympics. Recently we had reserved a weekend in Seattle to see those dreaded Yankees play ball. The hotel we had made arrangements through, had emailed us three times building up our stay with them. One email was about points of interest and activities we could see and do in the area, with links to investigate further. I think that was a nice touch. There are some websites offering very good coverage that an individual property owner can join relatively inexpensive, or better yet, a community can get together to save money and advertise through a popular site. Obtain display material, from The Olympic Committee, to have in your rooms or in the lobby of your property. You will receive positive feedback. We sometimes get complacent about the area we live in but, make no mistake, that the area you reside in has many special and unique attractions for the visitor from another country or the next province. Talk to the local Chamber of Commerce, getting them involved to keep the visitor in your area for a longer period of time. Even one more night can pay huge dividends to the community. If they don’t stay longer, maybe they will remember your area and want to come back another time in the future plus tell people about your area back home. After the visitor leaves, send a follow up email two weeks after they have left, thanking them for utilizing your facility and that you look forward to their next visit. 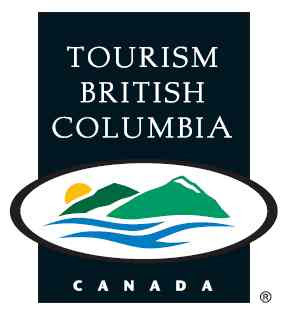 Tourism British Columbia and Alberta can help with the promotion of your community at this late date. How to keep travelers and vacationers in your region! Travelling through diverse areas of British Columbia and Alberta this summer, attempting to meet as many property owners as possible, I have come to appreciate the beauty that exists in these provinces. The majestic north of Terrace, B.C. and area to the spectacular hoodoos of the Badlands in Drumheller, AB where the dinosaurs once roamed millions of years ago left quite an impression. It is apparent that some communities have done a great job in restoring historical sites and publicizing their many attractions, attributing to tourists’ longer durations, discovering a new adventure at every turn. What wonderful memories to take back home, sharing their experiences with people they know! In talking to travellers, the majority of them said they were not travelling as far this summer but that they wanted to explore the areas closer to home. This is where a community working cohesively together can capitalize on, not only the tourists but business travellers. Imparting information about the area would entice these travellers to spend extra time getting acquainted with the venues brought to their attention. The more a community works together, the more all businesses will flourish. It’s great to receive the far away world tourist but it can be a great feeling for the area visitor to give you positive feedback. These are the people who will keep coming back. During my travels, I had stopped in at one information center that made quite an impression on me. I had asked the female attendant how I could spend my holiday in the area. Of the selections discussed, she gave me a circle tour that would keep me in that area for four days. This is something that a good accommodation operator could train the staff to present to the inquisitive tourist. Offering to map out attractions to see, ultimately keeping the clientele in the area for a longer period of time would be of benefit, not only to the traveller, but to your operation. Chances are this traveller will come back to your place in the future because of the helpful assistance given during their last stay. You can bet, they will be talking to their friends and co-workers about the helpful people at your memorable place! More and more travellers prefer to stay at accommodations that are “greening” their locations. Owners may think that the cost is too great but studies have shown that, by making changes, such as windows, doors and that old air-conditioning/heating unit will save you energy costs because the new products are made to run more efficient. Another way to save and go green, is to have employee TEAMS compete against each other for going green and saving money by giving those teams rewards every quarter or semi-annually. It is infectious to employees and guests if the word gets out by notices placed in gathering locations like the restaurant or continental breakfast area instead of each room thereby saving paper and ink. The Following ideas were obtained when I was doing some research for one of my clients from an article written by Amy Nutt for the accommodation industry . 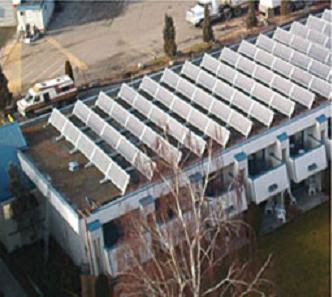 It reviews the many ways that hotels and motels can make their properties more eco-friendly and save money in the end. It would be nice to hear remarks from the recipients of this email to find out what practices you utilize to benefit the environment. Your comments are welcome on my blog. As we learn more about the threats to our environment, more people are embracing a 'Green' lifestyle. Businesses are now realizing that they also need to make changes in order to adopt a more environmentally friendly operation. One business area that is beginning to recognize the need to be more 'green' is the hotel industry. Many hotels are responding to consumer demands for a healthier and greener lifestyle by making their businesses more environmentally friendly. Implement a towel and linens reuse program. Recycle stained tablecloths into napkins, and aprons. You can also make cloth laundry bags from old sheets. Adopt a non-smoking policy for the entire hotel. Provide guestroom recycle baskets and bins for newspaper, white paper, glass products, aluminum cans, cardboard, and plastics. Provide recycling bins in public areas. Use fluorescent lights instead of incandescent bulbs. Install devices that power down heating and cooling systems when guests leave the room. Adopt the use of nontoxic cleaners by housekeepers. Adopt other cleaning practices such as cleaning the windows with vinegar instead of chemicals. Dispense shampoo and soap from large containers instead of disposable plastic bottles. Offer guests walking maps and information on public transportation. Use electric or battery operated lawnmowers. Use a mulcher to chop up the garden clippings to make your own mulch. Ban the use of pesticides and chemical fertilizer. Use only organic products on the lawn and garden. Use 'Gray' water from the showers and sinks for ponds and landscaping. Compost food waste and use it as fertilizer. Create an organically-grown vegetable garden for the restaurant. If the hotel has a pool and/or hot tub, install a solar water heating system and use pool and hot tub covers when the pool area is closed. Stock mini-bars with organic or natural snacks and beverages. Install low flow toilets and shower heads. Replace old washing machines with both water and energy conserving models. Use daylight as a light source as much as possible. Use solar energy as a lighting and energy source. Install dimmers on light switches to save energy. Sponsor environmental education programs for guests and the surrounding community. Preserve the property in as much of a natural state as possible. Plant trees and flowers. Earn hotel 'Green' Credentials. Have the hotel certified as 'green' by an organisation such as an independent, national, and state organization that certifies eco-hotels. An example is the Washington-based Leadership in Energy and Environmental Design (LEED), an architectural and building organization. Use furniture made from responsibly harvested 'new growth' wood such as bamboo. Use low emission paints and other material. Stock the rooms with toilet paper and facial tissue made from recycled products. Buy products and services from eco-friendly vendors. Being green means 'Green' hotels are adopting environmentally friendly practices and programs that will reduce energy, water, and waste. Hotels use a tremendous amount of energy and water as well as collect a huge amount of waste. By doing their part to conserve, recycle, and reduce, they are protecting the planet as well as providing a great place for eco-friendly guests to stay. When Is The Best Time To Sell Or Buy in British Columbia? Why do I want to sell? There can be many reasons. I want a larger property. I am very comfortable operating this property but I have some extra cash from being a good operator. I’m thinking now is the time to move up to a larger property. The property is in good condition and I should get maximum dollar because the new buyer will not have to spend any money to improve it, for now. How do I sell the property and what method do I use to get the maximum price? Do I try myself or hire a professional. Selling it “myself”, very seldom works because a sign or ad doesn’t usually get the results you want. The professional has potential buyers waiting to purchase from areas far away. The professional is usually dealing on multiple properties and has multiple clients looking for a variety of property types. In today’s market place, the professional should have a quality website and, this, above all other advertising will bring the good buyer. PRICE: This is the most important of all the items that should transpire before selling. The seller always has a price in mind but he or she should always listen to the professional because they usually come in with no emotion attached to the property and will give you an honest opinion. Most of the time, properties that sell are the ones that had a price assigned by a good, honest professional. If you have any doubts, get an appraisal completed by a bank approved appraiser. The rates, today, are at an all time low and a purchaser can save thousands of dollars over the life of the mortgage if they get in now. There is a lot of action in the market place at this moment with buyers looking for that “right priced property”. OR... do I just want to retire and get out of the business altogether. If this is your wish, then the above thoughts will work for you as well. 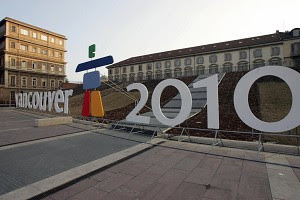 Are you leveraging the Vancouver 2010 OLYMPICS to your advantage as a hotel and motel operator? The Vancouver BC, 2010 Olympics are coming and this can be positive for the B.C. accommodation hotel and motel industry and, to a lesser degree, the Alberta accommodation industry. If my memory serves me right (and it has been a long time since the Winter Olympics in Calgary), this event showcased the province of Alberta to the world putting this province on “the map”. The Winter Olympics provided a boost to the economy, not only to Calgary and the surrounding area, but to The Province of Alberta. For a number of years after The Olympics, the benefits to tourism for Alberta and British Columbia, was a direct result of the “1988 Big Show”. The astute BC hotel and motel operator that has an outstanding website and a clean operation can reap the benefits for several years after The BC Olympics. Not only will the accommodations surrounding the Vancouver BC 2010 Olympics venues reap the benefits but outlying areas will also do well. There is an immense range of diversity in both provinces and the good hotel and motel operator will take advantage of depicting the beauty and attractions in his or her area. The out of country/province traveller wants to know what your area has to offer. Sometimes, after living in an area for awhile, we tend to forget what our special area offers with many diverse features and sights. From the unique restaurant in the area to the back country with its lakes, mountains and forests, Alberta and British Columbia have awe inspiring views with everything to offer the sports enthusiast to individuals wishing to pass tranquil moments. Sometimes the unique “old timers” can help you out with information that is not known to the general public. Get to know the people in your area. You will be viewed more positively than other owners. The keen BC hotel and motel operator will be thinking of items of interest that he or she can establish on their website to entice the Vancouver BC, 2010 Olympics traveller to “come and explore and stay” in their area. Tourists will travel far if he or she sees something on your website that tweaks their interest. The tourists are coming. You are in control in the portrayal of what makes you stand out from other operations. The Canadian Real Estate Association (CREA) reports that the number of resale homes sold in February through agents who use the multiple listing systems (MLS) rose 8.6 percent above seasonally adjusted levels for January. The seasonally adjusted residential MLS sales figure rose to 28,669 homes, marking the first monthly increase in activity since September of last year. Monthly seasonal increases were the largest in British Columbia, with a rise of 14.4 per cent, followed by Nova Scotia at 12.7 percent and Alberta at 11.9 percent. Ontario and Quebec saw increases on par with the national average. "Typically, the spring market we're moving into generates more activity," said CREA president Calvin Lindberg. "And this year there are the benefits from historically low mortgage rates and improved affordability in most markets." Click here for more MLS statistics from CREA. 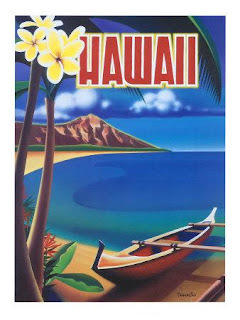 This past fall, we were fortunate to vacation in Hawaii, along with sixteen members of my family. Everything was great except that, when we entered our rooms at the condominium hotel, we immediately noticed that the accommodations were not as advertised. I spoke to the staff at the desk, and commented that the travel brochure hadn’t reflected the condition of the rooms along with their many shortcomings. Due to the American economy, there weren’t many guests in the hotel; however, the manager said that there was nothing they could do to accommodate us. This was a shortcoming on management’s part: it needed to ensure that the cleaning staff completes its assigned duties down to the smallest of details, as that is what makes a hotel room appealing and comfortable. The accommodations had been prepaid well in advance; this meant that management need not worry about reimbursement. At this point, there wasn’t much that we could do. This lack of service could have put a damper on an otherwise wonderful vacation. So, we decided to just ‘grin and bear it’. For many reasons, none of us will ever forget this place, notably the unfortunate experience at the hotel. We will definitely not recommend this location to our friends. It should be a lesson well-learned by all owners that you have to do everything in your power to meet the needs of your hotel guests. Knowing that you have taken the time to listen and act on your guests’ concerns will go along way in customer satisfaction. This positive attitude will not only promote repeat business, but will attract new business. I must admit that many accommodation operators do go the extra mile in ensuring that their guests are pleased with the service. I tip my hat to the many operators who do a great job. You and your staff have to love working with the public. The travelers you meet will not only appreciate the holiday experience, but will also tell their friends and acquaintances about the great accommodations. I just received a great bit of information from Ron Taylor on Tourism financing that is relevant to our industry. Tourism operators including those in the hotel and motel industry generally experience greater difficulty in accessing capital when compared to other industry sectors. This is especially the case for new ventures but is also true for established operations. Reasons for this include the higher failure rate of tourism businesses compared to other industry groups. Institutional lending policies themselves are a barrier as lenders limit the number of 'risky' businesses they are willing to allow into the lending pool. When competing for their share of a lending pool that is neither broad nor deep, it is very important that operators do everything they can to improve their chances of being approved for financing. Operators, who understand the importance of being prepared, know that well-researched and documented business plans as well as a professional presentation to lenders can make all the difference in securing needed capital. Well documented and well presented financial proposals for viable businesses can attract suitable financing even in situations where some lenders have previously said "no" to the application. 1. A well documented, professional loan application, which should include an extensive marketing plan that identifies where the cash flow is coming from. 2. A well documented, well supported financial plan which should include a cash flow projection through at least one complete operating cycle, in addition to forecast income statements and balance sheets for at least 3-5 years. 3. Identification in simple terms as to how payments to the lender will be made in the event business cash flow does not meet expectations. 4. Full supporting documentation, which may include financial statements, personal net worth statements and other relevant documents. 5. Making a good first impression. First impressions are extremely important, and experienced operators know that they must be well prepared at the very first meeting to present their application. Businesses that do not adhere to these principles will have difficulty attracting suitable financing even when they are viable.' Operators who do not have the time or the expertise to develop a financing application incorporating the above essentials should consider engaging a qualified consultant. This will greatly improve their chances of seeing the loan approved. Taylor Capital Inc. is a capital placement firm operated by R. N. (Ron) Palmer CIM, AMP an experienced finance professional. Linked to an extensive network of capital providers both in the private and public sectors we are dedicated to providing capital arrangement services for mid-size companies located in British Columbia. We have been providing innovative financial solutions to businesses in virtually all industrial sectors since 1998. Premier Hotels and Motels.com are pleased to announce a relationship with Mr. Ron Palmer of Taylor Capital. Mr. Palmer has been in the accommodation industry lending for many years. We hope this alignment will provide a positive working relationship for our many clients who are looking for financing to purchase or refinance. Ronald (Ron) N. Palmer has been involved in the Canadian financial services industry since 1976. For over twenty years Ron worked for major Canadian chartered banks at a senior level where he structured debt transactions for corporate clients in a wide range of industries. Ron was valued for his ability to structure, underwrite and generally find a way to get deals done.During his commercial banking career Ron received specific, high level training in commercial and residential real estate project financing. Since leaving the banking industry in 1998 and subsequently forming Taylor Capital Inc., he has focused on serving clients throughout British Columbia.Ron's preferred areas of practice include residential, commercial and industrial development financing in addition to financing in the hospitality sector. Ron services his clients from his centrally located home office near Kelowna.In 1998 the Canadian Securities Institute awarded Ron the Canadian Investment Manager designation. 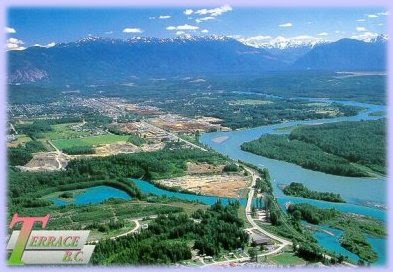 Ron is a licensed mortgage broker in the Province of British Columbia. Canadians will spend their holidays at home! The Canadian dollar has declined compared to the American dollar in the past month. Based on this factor, a lot of Canadians will be spending their holidays in Canada this year. This can be good news to the British Columbia and Alberta motel and hotel industry. With the winter months upon us, now could be the right time for the winter playgrounds in both provinces. Your accommodation pricing must reflect the economic slowdown around the world. For those wishing to come to the winter wonderland, it could be an excellent opportunity for the world to come to visit Canada before the Olympics. The astute operator will have to sharpen their rates. The not so popular winter destinations can draw vacationers through tour companies and through their franchisors. This is where the individual accommodation owner or association has to be creative and do some planning. Accommodation facilities need to get involved with their local Chamber of Commerce and City Hall to market their area. Jerry Dombowsky - Hotels and Motels - FINANCING: This is where the “rubber hits the road”. Recently I have been asked about Financing for accommodation properties so I have taken the time to put a few key points together.You basically need to create a favourable self portrait for yourself. Here are the things to do when preparing for the sale of your property. · When purchasing accommodation property, you have to have a good insight into what banks are looking for when financing a project. · Experience of the borrower, not only in this field, but your full working background and that is why it is important to have a professionally completed, up to date resume. · Don’t forget... When pricing your property, it is always best to get an independent evaluator, like a realtor or, better yet, a bank approved appraiser. When you price your own property, is always filled with personal emotion and not good judgement. Let the professional do it! · To help the bottom line, an owner must be prepared to reach out and sell his property to corporations, government, sports leagues and the community. · It’s the time to be on the offensive and let the public know what you have to offer. · The amenities that the public and organizations want, i.e. wireless (very important in this day and age), complementary products that you provide, i.e. breakfast in house, laundry and overnight dry cleaning services, parking for oversize vehicles, ie. : The team bus, large equipment moving to the work site and motor homes for the client that may want a different experience. · I have been told this can add to the bottom line by as much as 10 – 15% and all this takes is a little planning and getting the information out to the different organizations and public. If you’re looking for a new accommodation property and are a current property owner, what is your strategy? Do you wait to find the accommodation property suitable to your needs before you put your existing property on the market, or do you sell first then begin the search process? When is the best time to purchase or sell a property? The best time to purchase is when YOU WANT TO BUY; the best time to sell is WHEN YOU WANT TO SELL. Do you let outside forces dictate your decision? If the current property is an asset sale, due to taxation regulations, your new property must be purchased within one year of the final sale date of your current property. If the current property is a share sale, all financial statements must be in good order and filed with the appropriate agencies confirming that all documentation is in good order. Many documents must be examined when purchasing a property. The main documents are: analyzing the financial information and obtaining suitable financing. If there is more than one partner, do you have a Buy-Sell Agreement in place? If one of the partners dies, how do you pay out the heirs? For assistance with these questions and many more contact Jerry Dombowsky of Premier Hotels and Motels. Jerry Dombowsky - Hotels for sale - Motels for sale - Location, location, location!!! · Easy in and out access and, if possible, seen from main traffic arteries. · How close to shopping and entertainment is your location? · How close are you to water and activities, especially if in a water tourist area? · What clientele are you catering to? · Know your clientele. If it is the tourist you may need amenities such as pools, waterslides and games area. 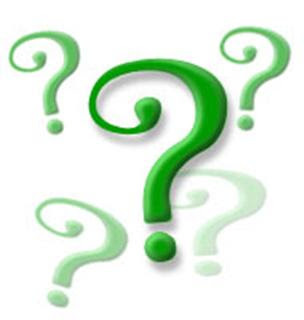 · Does the location have a little pizzazz to keep the regulars coming back? · Does the location have the ability to be developed into a compelling draw for the drive by or the return client? · It is important to check with the local transportation department in the area, to find out if traffic patterns are going to change in the near future. How will that affect you and the general area short and long term? · If you are targeting the Business traveller you will need a comfortable work area in the room, plus the latest technology. · If you cater to the contract worker, you will need the basic living comforts and additional parking for the specialty equipment that they may have on the way to the job site. ·Belonging to the Chamber of Commerce and other organisations popular in this particular area will always help in getting your property to a higher level of recognition. When buying, buy the property you need great access to amenities. The Hotel can be renovated, but you can't change the location. Location is where the real long-term value is. Remember, the good qualities are very seldom mentioned but the bad ones are never forgotten and repeated time and again. Always present the best side of your property. It is a part of you.